For years, I wondered how I fit into my mission-focused family. I truly enjoyed my world of business and clearly had favor to be successful there, which was why Jud, my boyfriend at the time, and I decided to pursue our MBAs through Cornerstone University. 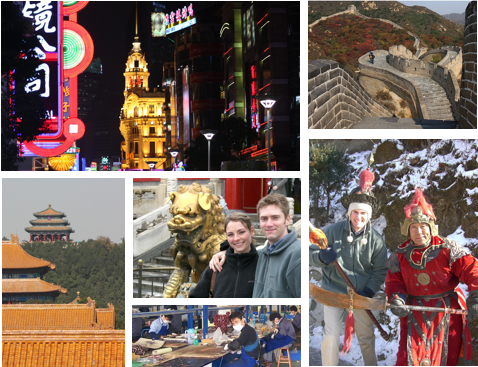 The MBA Bglobal Studies took us to China, but God started us on the trip of a lifetime. Through Cornerstone’s global experience, I learned that I could be a missionary with great impact in a business setting. There was even a term for it – Business as Missions. Jud and I knew we wanted to follow the Lord wherever He might take us around the globe to honor Him, and we felt a special fire to serve Him in Europe. That clarity was a tremendous blessing, and it led to even more – when Jud recognized we had been given the same calling, he asked me to marry him. Our BGlobal experience was definitely a turning point. Since then, we’ve had opportunities to serve the Lord together at a manufacturing plant in Mexico, in our own business in Kalamazoo to bring life into a poor neighborhood, and to finally work in Europe last year where we spent 6 months in Freiburg, Germany. We are excited to see where the Lord will take us next, knowing that “home” and joy is wherever He wants us. For me, it’s even sweeter with running water.